Native to SW British Columbia to California. shrub which grows to 2 feet. Oval leaves turning bronzein the fall. 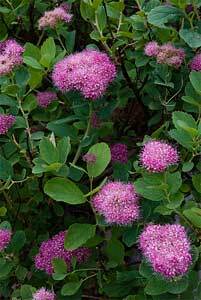 The plantbears fragrant, fuzzy flattopped pom-pons of brightrosy pink flowers in the summer. 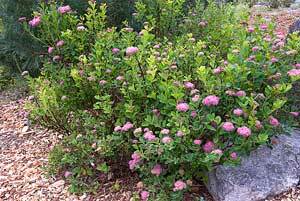 Found in moist thickets, meadows and rocky slopes from elevations between 2,000 and 11,000 feet on inland mountain ranges.